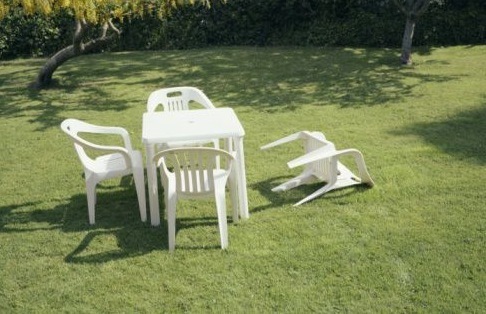 This just in: The exciting and important events of Libya were suddenly interrupted by a media destroying 5.8 earthquake. [+5] - engineer - 08/23/2011Had a tornado yesterday, an earthquake today, hurricane scheduled for this weekend and I think someone found a dead locust in their yard. [+3] - rosborne979 - 08/23/2011Please, nobody tell anyone from Japan that we had a pitiful little 5.8 quake and it even made the news or they're gonna laugh us off the planet. Had a tornado yesterday, an earthquake today, hurricane scheduled for this weekend and I think someone found a dead locust in their yard. a dead locust? Oh no!!! It is all Obama's fault for being on vacation and not in the Oval Office carrying the weight of the world upon his shoulders. The Virginia quake was on the 38th latitude and the one in Colorado was on the 37th. Do you think the South is trying to secede from the mainland again? Please, nobody tell anyone from Japan that we had a pitiful little 5.8 quake and it even made the news or they're gonna laugh us off the planet. A Quake in VA gave DC the most movement since the Republican/Tea baggers wormed their way into congress. Oh goddess...I can't look any more! It's so awful. this one i think especially conveys the overwhelming power of mother nature's wrath. The one thing I heard this morning is that if the earthquake was centered in Boston - with the old buildings and the fact that our backbay area is basically part of the harbor that was filled in with dirt, the back bay area would be totaled even with an earthquake significantly of less magnitude than in Japan. Boston isn't made for earthquakes. Although on the positive side - we should do ok with the upcoming hurricane. Usually the hurricanes have been downgraded by the time they get up north here, we have had a few, but typically the damage is along the coast and losing electricity. We don't usually get the same damage as Florida and the Carolinas. Although some of the winter storms can be pretty bad.